For peak power the Split-Fire 4490 offers splitting performance required by commercial contractors producing more than 100 face cord per year continuously, day in day out. 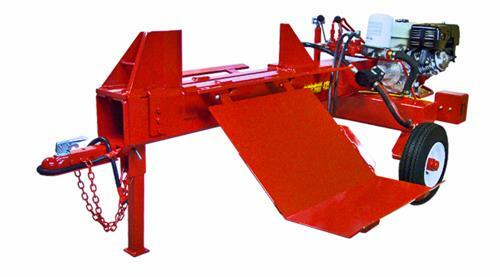 Equipped with both 2-way and 4-way knives, the 4000 series wood splitters are manufactured with a 7" by 7" reinforced tube frame, reinforced stops and frictionless Ultra-High-Molecular-Weight polyethylene sliders making this the most rugged longest lasting log splitter available on the market today. 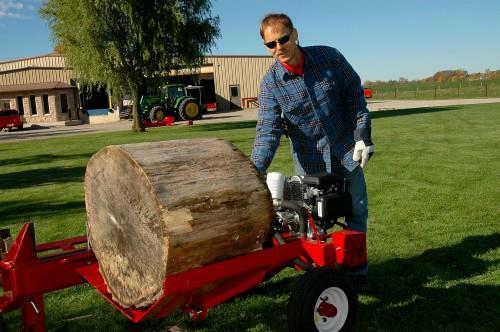 Its inline 4.5 inch cylinder provides maximum power that will cut through the knottiest, hardest, large diameter blocks up to 48" in diameter, easily out-splitting 32 ton rated machines while boasting a cycle time of only 13 seconds. 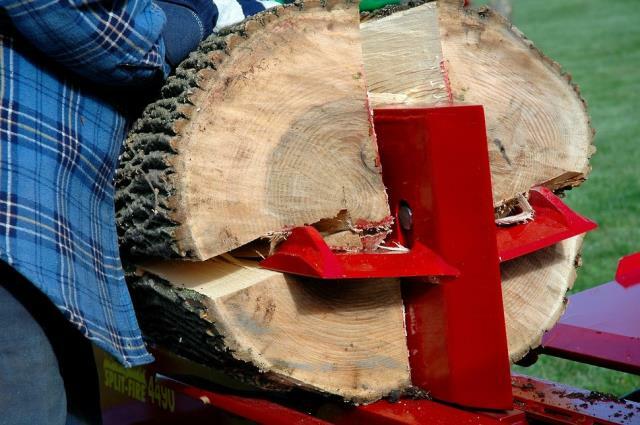 All Split-Fire log splitters feature the 2-way splitting action from the knife that splits wood in both directions. * Please call us for any questions on our splitter log gas w/ hydraulic lift rentals in Sulphur LA, serving Southwest Louisiana.